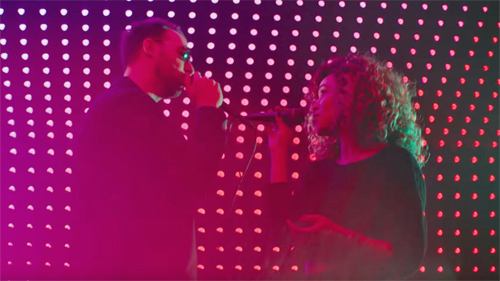 I missed this video when it came out last week, but Honne's loved-up duet with Izzy Bizu is still worth a click. The simmering, sensual song is enlivened by clips of young couples falling in love, and a sweet performance by Izzy and Andy, who spend the video eyeballing each other in a giggly, flirty way (I have no idea whether they're together or not, but it's very convincing). According to Izzy "it's a song all about how we want what we can't have and how the grass is always greener"; while Honne says the track is "fundamentally about forbidden love, but from both sides of the story."